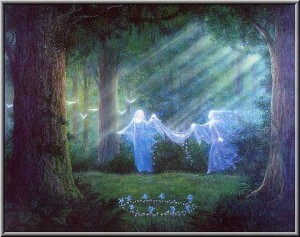 Testing the spirits to make sure they are of God is an important action for any psychic medium to take. 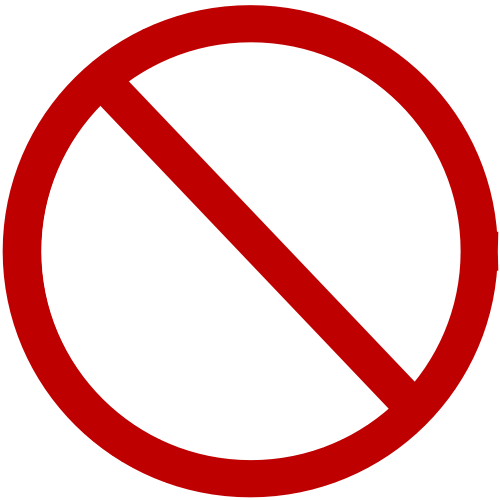 I would even take it a step further and say that information from spirits that is not tested should be disregarded. Do not assume that putting up white light will always take care of everything. Keep in mind that even Jesus himself, was approached by the devil. I learned the hard way, because when I first accepted my abilities, I did not understand that I would need to test the spirits. This lack of testing got me into a very bad relationship situation, which it took years to fully understand or get out of. In the Bible there is talk of good spirit communication and there is also talk of it being evil that seems to contradict. That is because if we do not keep our own intentions pure and ego free, and always test the spirits who come to us, we could be causing a world of damage to others, without even knowing it. Our good intentions could be used against us, and evil could use us as medium pawns. As a medium, without testing the spirits, we could think we are helping someone, and yet actually be causing them more damage than we could know. There are spirits who will say things that may be true, but those spirits could be using those true things to manipulate and hurt the person receiving the readings, so we must always be sure what we are doing is God’s will and in his name. When I first went through my awakening and finally accepted that I was a medium, all the mediumship abilities I had been blocking off since childhood could be blocked no more. Before that, I could simply pray for spirits to go away, and they would. However, when I came through my awakening, it was made clear to me that God had a plan for me, and I was too follow through. No longer, would I be allowed to just ignore the spirit world. After going through my awakening, I was told to find others like myself. I became very involved in both a local church and a metaphysical center, where I learned better to understand that I was in fact, not just a medium, but a psychic, an empath, and a spiritual healer. It was really scary for me to be told by my teachers that I was so advanced that I should be teaching them. I was very new to this stuff and not raised in anything metaphysical. There were family members with abilities on both my maternal and paternal side, but it was kept secret from me for many years. Please understand that I came into this fresh and new, knowing nothing. It would take years of the spirit world’s teachings, plus trial and error for me to truly earn the gift of discernment, as it is described in the list of spiritual gifts in 1 Corinthians 12 (4-11). Discerning the difference between a good and evil spirit is so important, but true discernment involves testing them as stated in 1 John 4:1. So, how does one go about testing the spirits, you might ask? Again, the answer is in 1 Corinthians 12 (3). As in life, so in death, therefore we test the spirits by asking them if Jesus is the Christ and Lord, and if he walked the earth in human flesh. This will not phase a spirit from God, but it will have an effect on negative spirits who are deceptively pretending to be good. These spirits will try to fool us, but the power in that question will either anger a negative spirit, or simply make it leave without another word. When this happens, no matter how nice or beautiful the spirit seems, you know it was not good, and to disregard any words that spirit speaks. Again, it took many years to understand these biblical truths. Now, I pray that God’s will be done in the name of Jesus Christ before every reading. When a spirit comes to me out of the blue, I always test them. And yes, there are times where it is indeed a deceptive spirit to be ignored. We can not fully understand why these negative spirits would do this, but understand that they are the fallen ones. They are jealous of us, because we have a body and the opportunity to learn and grow while on earth, and the opportunity to return home to our loving Heavenly Parents, who wait for our return with open arms. They have lost their way back, and can never grow or return home. So in anger, they try to stop as many of us from returning as they can as well. Please, do not be a pawn to these negative spirits. Always test the spirits. Over my years as a psychic medium, I have worked with many clients who seemed to be ill for no apparent reason. Many of these clients have come to me as a last resort after countless doctors have not been able to find anything truly wrong with them. As one with empathic and healing abilities, I am able to scan people and find their illnesses, but there have been times when the scan shows, just as their doctors have told them, there is nothing that dramatically wrong. In almost every case where there is no real health issue, I have been able to psychically pick up on instances and evidence of psychic ability, and pinpoint with accuracy when they started experiencing psychic phenomenon. In almost every case, these people have trouble being out in public. They find themselves sicker when they are out in public. Many clients come to realize through their session with me that they are empathic. By pinpointing a few public empathic episodes, they come to realize they are feeling the physical and / or emotional pain of others. So, how does an empath learn to control this? How does one with empathic abilities learn to cope with the rest of the world? The answers are actually simple. First off, we are all spiritual energy. Some of us have innate ability to take in the energy of others. I do not believe this is something we have full control over, but it does happen. Those who take a lot of the energy of others in, need to take time for them self. Meditation, solitude, alone time is crucial. This meditative time is very needed to keep one in balance for the work God has set out for them. Through meditation, they may come to understand why they feel so much from others and take so much of others in. The second thing to always keep in mind when this pain comes up while out in public is that it is not your pain, and you do not have to take it all in. When you are out somewhere and start to feel this, remind yourself with this simple mantra, “This is NOT my pain. I do not have to feel this. This is NOT my pain.” This should help you to block out some of this pain which is not yours to begin with. If the mantra does not work and you are a more visual person, then visualize yourself in a protective bubble created to block out the pain of others specifically. The third and most important thing to keep in mind is that God does not let us feel the pain of others as a form of punishment. Those who can feel the pain of others are in fact, not just empathic, but also natural healers. If you are with someone and feel their pain, and they are comfortable enough to allow it, perhaps laying hands on them, in the place you feel the pain is called for. Ask God to heal them of their pain and / or anguish as you do this. You may find that they feel better from your help, whether the pain dissipates permanently or temporarily. I also would highly suggest that anyone who is experiencing the trials of empathic ability check into learning a healing modality. 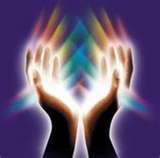 There are many forms and modalities to choose from, such as Reiki, Pranic Healing, and Shamanic Touch to name a few. All modalities have the same basic principles in their early teachings, and will help anyone with empathic struggles to start to understand, harness, and transform an ability that seemed like a curse into a precious gift. With so many people feeling the trials of empathic ability, I can not help but to think that if more people became aware, we could have enough healers to heal the whole world. Imagine the possibilities! 1. You have no business going on a site if you do not believe in yourself. If you do not believe God will protect you, you have work to do. Always keep your faith that God will keep you well. Believe that God will protect you, and that you are worthy of that protection. Always know that you and only you have the power to keep yourself safe from any and all negativity. 2. Never go to a site angry or distraught. A personal negative attitude will only attract negativity to you, including negative spirits. Make sure you are in a positive frame of mind. 3. Never go to a site if you are too sick or tired to be there. In order to keep yourself safe from anything entering you that should not be allowed, it is important to be healthy, and not weakened mind, body, and soul. 4. Never go to a site drunk, or under the influence of any substance. Just as illness, anger, and sadness can lead to increased negative influences on you during an investigation, so can drugs and alcohol which can alter our state of being emotionally and physically, which leads to a weak spiritual body as well, leaving an opening for negative influence. It is important to always remain in balance and at our best. Lord, please keep me pure of all negativity. Allow me to collect scientific data that proves whether or not this is a true haunting, and allows me to know what can be done in order to help those involved in this situation. Please allow me to do this without any harm coming to myself or others physically, spiritually, or emotionally. Amen. Get yourself in a comfortable / meditative position and close your eyes. Imagine that a beautiful, bright, white light is glowing from your heart. With each beat of your heart, that white light gets bigger. It grows and grows until your entire being is covered. This process should help you to eliminate all negative energy from your body, because as the white light grows through your body, it pushes the negative energy outside of you. Now, extend your light out to create a circle around you about a foot outside of every part of your body. Seal your circle off like a bubble, protecting yourself from all outside negativity. 7. Once you are together with your paranormal investigative team or group, a group prayer and visualization never hurts, because there is always power in prayer and in numbers. I’m sure everyone has heard that you have to surround yourself in the “white light” for protection, but you can not fully expect this to work, unless you have practiced the simple laws of mysticism. If you want to be protected, and always receive your messages from the highest beings, it is important to become a mystic. Look at yourself from the point of view of others. What do you see that is positive? Think of the compliments people have given you in the past, and enjoy those things about yourself. Now look at your negative qualities. Have you done things that were morally wrong? Forgive yourself, and release it. Remind yourself that will avoid making that same mistake again. Have you done things that caused others pain? Apologize to those you have harmed by your actions, and again, forgive yourself, and release it, remembering not to let yourself make that mistake again. Have others done things to somehow harm you? Try to forgive them for their actions. Release that pain you have been holding on to. At some point, we have to realize that we are all one, and therefore, everyone is capable of making the same mistakes if they were in that person’s shoes. We all start the same, but factoring in our environment, upbringing, etc. Can all make us seem more different and separated than we truly are. Make it a point to avoid negative behavior from this day forward, but do not condemn others for theirs, or you are still displaying a behavior that needs avoided. A mystic is not a perfect individual, but a mystic can see the true self within and knows themselves enough to accept the good with the bad. A mystic accepts that they have negative traits and does not deny that or attempt to put the blame on others with harbored resentments. A true mystic sees who they are, and chooses a life whereby they work to not allow those negative traits to cause harm to others. If we are aware who we are, and accepting, then we can fix things, where as, if we deny it, then we continue to cause hurt in that denial. After all of your searching yourself is done, it can only be time to search some more. Self improvement and healing can be a life long process for many. Do you love yourself? That is a difficult part of the process for so many of us. You have to know that we all are composed of positive and negative aspects, but we are still worthy of love. Learn to love yourself. You do have to love yourself in order to be protected by God’s love and light, because that protection has to come from within you as much as from any outside source of higher power. You have to know beyond a shadow of a doubt that God and the universe will protect you, and that requires faith. Sometimes the key to faith is simply believing that you are worthy of God or that higher power to provide you with protection. God only asks that you believe. If you can say that you love yourself, and know that you are just as worthy as anyone else of that love, light, and protection, then how could you not KNOW that God will ALWAYS be there? Each and everyone one of us, everything we see, hear, feel, touch, smell, know is all a part of God or that higher power, therefore, how could anything not be worthy of God’s grace? The answer? It’s impossible. We are all equally worthy. It is simply a matter of having faith in yourself and the higher power that you are indeed a small piece of, like all of us, in the vast universe. So have faith enough to know that you are worthy of forgiveness, just as everyone else is, and you are worthy of God’s love. In that love, you are protected. Get yourself in a comfortable meditative position and close your eyes. Imagine that a beautiful, bright, white light is glowing from your heart. That light is your own positive energy. Inhale deeply, taking in the energy of the universe (chi). With each beat of your heart, that white light gets bigger. With each breath you take in, visualize the white light going from your mouth with your breath, and down to your heart. Now visualize the energy of the heavens, coming down as another white light at the crown of your head, and visualize this white light coming in at the top of your head, and heading to your heart with each inhale as well. Your own positive flow increases with each inhale, and on each exhale, you should also visualize your white light growing bigger and stronger at your heart. The universe is helping you to increase your positive energy. It grows and grows with each breath you take, until your entire being is covered. This process should help you to eliminate all negative energy from your body, because as the white light grows through your body, it pushes the negative energy out side of you. Now, extend your light out to create a circle around you about a foot or 2 outside of every part of your body. Seal your circle off like a bubble, protecting yourself from all negativity. Now visualize a large bucket full of a thick, silver fluid. Pour that bucket over your bubble and allow it to coat your entire bubble in the silver fluid. The thick fluid will coat your bubble and act as a mirror, protecting you from all negativity from outside sources, reflecting back to the source and allowing that source to see their true self and what they are doing. You should make it a point to make this a daily ritual, performed once in the morning when you get up, and once in the evening before bed. Also, be sure to do this activity before all spiritual contact, including meditation. Also, always keep the lines of communication open with God. Pray every time you seek protection. The life of a mystic is not an easy one. As a mystic, you will be tested beyond anything you expected. The challenges are Authentic. If you can find your way past these challenges, then you can find a greater sense of peace, and a closer relationship with God and the universe. 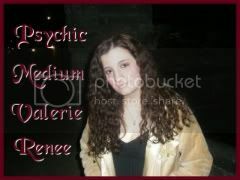 As a psychic, living a mystical life, and protecting yourself is eminent. Good luck with the challenge! Anyone in Jacksonville, Florida who drives down Interstate 95 near Riverside will likely see the old and abandoned building known as Annie Lytle Elementary School or School House Number Four. The once grand school building and piece of Jacksonville history has been left in complete disrepair for almost forty years. The brick building that stands today was not the original structure. The original structure was a boxy, wooden school house built in 1891, and was called Riverside Park Elementary. In 1915, Duval County passed a million dollar bond to build over a dozen new brick school houses, and School House Number Four was one of the schools built. The school was later renamed Annie Lytle Elementary School after a former teacher and principal. The construction of the grand new school was started in 1917 and completed in 1918. This $250,000.00 structure was designed by architect Rutledge Holmes, and built by Florida Engineering and Construction Company. This school was once a grand brick building with many features such as beautiful columns at the school entrance, a very large auditorium, high ceiling classrooms, large windows that would overlook beautiful terraces, and a large fireplace in the cafeteria. The classrooms of this historic school were on the second floor, while the administrative rooms, library, lunch room and auditorium were located on the first floor. The grand building overlooked Riverside Park, until construction of I-95 and I-10 isolated it in the 1950’s, leading to the school’s doors closing in 1960. The building was used as office and storage space, but by 1971, it was condemned and completely abandoned. Over the past almost 40 years, time has taken a grave toll on the once opulent school building. Vandalism has overtaken the building with garbage and graffiti, and in 1995, there was a fire that caved in the ceiling of the auditorium. In October of 1999, Foundation Holding Incorporated purchased the property with plans to build condominiums in it’s place. Arguments for preservation by historic societies and public outcry would lead to the building becoming a Jacksonville approved historic landsite in 2000. Since then, the building has continued to sit in disrepair. There are many urban legends surrounding School House Number Four. Rumors and stories of a psychotic janitor who killed children, suicidal teachers, a boiler room explosion, and many others exist. However, there is no proof to substantiate any of these claims. 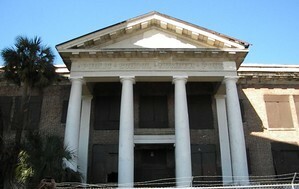 Paranormal Teams make frequent visits to the school, and it has been labeled as “The Most Haunted Place in Jacksonville”. Recently, while driving down interstate 95, I felt a strong prompting to stop and take a closer look at School House Number Four. The first thing you notice about the area is that it is not the safest part of town, but that is not because of the ghosts or legends of this historic school. It is because the entire area has become run down. The school sits only feet away from interstate ramps, creating heavy noise form oncoming traffic. Yet, there seems to be a peacefulness that surrounds the school itself. As a psychic medium, I could feel the energy of the past all around me. I could feel the energy of a once wonderful place, forgotten. I did not feel the great haunting, or that there was truth to any of the urban legends. I could feel the imprint of a janitor who kept to himself a lot and thus, made others feel uncomfortable, but with no psychotic tendencies. I could feel the many children who learned their primary skills there each day. If anything, there is simply a residual haunting, where energy of people who once resided within the walls has remained, like an imprint over time. This once grand building, though in disrepair, still feels like if you just look past the abandoned and neglected look of the structure, you can see the children excitedly going to school to learn each day. I do not feel there was anything truly haunting the school, besides a past, sadly forgotten, as our world becomes more modern and times continue to change. 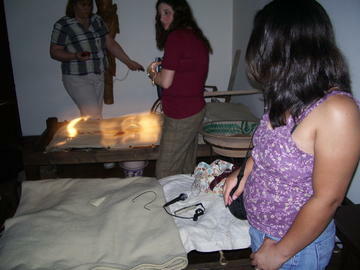 Paranormal Investigation is the scientific study of locations claimed to be haunted by spirits. Most paranormal investigators will commonly use tools such as E.M.F. (electromagnetic field) meters, infrared thermometers, infrared camera, digital voice recorders, video cameras with night vision, still cameras, computers, and motion detectors. These tools are utilized to help prove, whether or not, a location is truly experiencing paranormal activity. Most investigators become very excited when proof is detected using these tools. Thanks to television shows like Paranormal State and Ghost Hunters, the number of paranormal teams is on the rise, and many teams are taking a closer look at paranormal investigation. Many teams are asking themselves, “What sets us apart from the other teams? What are we really doing to help?” Many teams are now relying on psychic mediums for that reason alone. Mediums involved in paranormal investigating are a valuable tool. With no prior knowledge of a location, they can psychically detect what spirits are there and why. They can tell paranormal investigators what rooms have the highest activity, and where to place video cameras and motion detectors, in order to get evidential proof of a haunting. Most importantly, true psychic mediums will know what can be done to help send the spirits home, or if there is a more pressing issue to be resolved first. Mediums, with the ability to be the communicator for both the living and the deceased, can sometimes become the very tool to help solve unresolved issues. Mediums will also know if the haunting involves more serious situations where a priest or demonologist might need to be called in. A psychic medium may not be seen as a tool, but as more teams decide they want to learn more and help more, the psychic medium is becoming the most valuable paranormal tool yet. So many psychics seem to get so lost in the pursuit of receiving good messages, that they forget to pray for good messages. This is always important, for how can you expect anything from God, if you won’t keep that relationship open, and ask? One should make it a important part of their life to pray for good messages in the morning when they wake, and in the evening before bed. Also, be sure to pray for good messages at the start of each reading. Lord, Please keep me pure of all negativity. Allow me to see, hear, and know all things true, and to keep false words out of my mind. Help me to keep my own bias out of the messages I receive, and only give messages from the highest sources of knowledge and power. Whenever I am reading may I only receive that which is of your will, Lord. Amen. I keep hearing questions from so many confused psychics that can’t decide if they are receiving good messages or not. I hope this helps. As with everything else in life, God is our first source. Look to him for your help, guidance, and inspiration first. Focus your attention on your breathing. Inhale slowly, exhale slowly. Do this repeatedly. Now turn your attention to an emotional pain you are carrying, one that you have not healed from, or perhaps a resentment or negative emotional charge that you have been unable to let go of. Take notice of where in your body you are carrying the pain. Feel the emotions connected with the hurt, and allow any associated memories to come into your consciousness. Continue to breathe, in and out. Remember the mistakes made both by you and others involved in the situation that led up to this pain. Forgive yourself for any mistakes you may have made. Forgive anyone else involved who may have hurt you. Forgiveness frees you, allowing you to release all of your pain and sorrow. Remember that your emotions are not really you. Wrap yourself and everyone involved in love and healing energy. Now, imagine that the pain, emotions and memories that are in this part of your body are freed up to leave your body. Continue to breathe, in and out. Visualize the emotion and pain releasing from those areas that hurt, and as you breathe, in and out. Visualize that pain moving through your body, and out with your breath. With each exhale, more of that pain is released from your body. Visualize that released pain and emotion as a cloud in front of you. That cloud now contains all of the pain, all of the resentment, and all of the emotions you have been holding onto. Notice how light the cloud is. We often think our problems are heavier than what they truly are. Notice how easily that cloud could float away if you just let it go. Ask God to help you release your cloud and let all the pain go. Visualize it floating away. 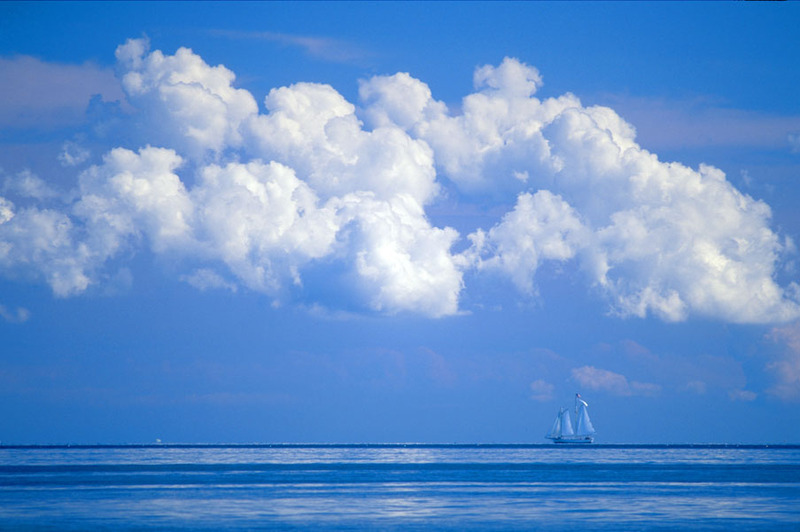 Your cloud floats up in the air, and further and further into the distance until you can not see it anymore. All of us, as psychics, whatever category we fall under, need to protect ourselves from negativity, whether from spirits who inhabit physical bodies, or the spirits who do not inhabit bodies. Most people use this practice before psychic or healing work, as well as when they first wake up in the morning, and before going to bed at night. This is also a good practice to use before getting into higher states of altered consciousness, such as those achieved in meditation. I highly recommend this practice to all of you. You will be amazed just how much simple prayer and visualization can improve the way you feel about everything; physically, emotionally, and spiritually. Get yourself in a comfortable / meditative position and close your eyes. Take deep breaths, inhaling slowly through your nose, and exhaling slowly through your mouth. 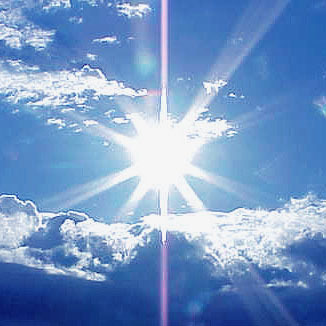 Visualize a beautiful, bright, white light glowing from your heart. 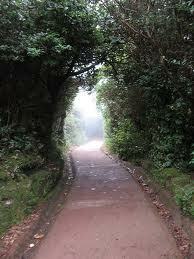 Continue taking deep breaths, inhaling slowly through your nose, and exhaling slowly through your mouth. 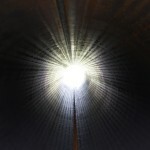 Visualize each breath you take in as a white light coming into you. This white light you inhale is the universal energy known as “chi” energy. As you bring that “chi” in through your nose slowly, visualize that white light energy moving in from your nose, through your neck, and throat, and down till it reaches your heart. Also, visualize white light coming in from the heavens and through the top or crown of your head. Bring that incoming light from both places down toward your heart. When that white light energy reaches your heart, visualize the ball of white light at your heart growing bigger than before as you exhale. Continue this process repeatedly while slowly inhaling and exhaling. Visualize that white light at your heart expanding out in a circular ball through your entire torso, through your arms, legs, and neck. Visualize it moving through your hands, feet, and head. Visualize that ball of white continuing to grow about a couple feet outside of every part of your body, still as a circle of light. This process should help you to eliminate all negative energy from your body, because as the white light grows through your body, it pushes the negative energy outside of you, so visualize all darkness pushed out and away by the white ball of light from your heart. Allow that light to travel underneath you, grounding you to your earthly connection. Allow that white light to rise above you, connecting you with higher plains. Allow that light to grow on every side of you as well. When your ball of white light has extended out a couple feet outside of you in every direction, pushing all negativity away, you have completed raising your own personal vibration. Now, visualize sealing that white ball of light off like a bubble. Remember that this is an impenetrable bubble. Nothing negative can get in. After you seal your bubble, visualize a very large bucket of thick silver fluid placed just above your bubble. Slowly pour that thick, silver fluid over your bubble, so that it slowly trickles down, covering every part of your bubble from top to bottom. Silver is the color of protection, and the thick silver fluid also functions as a mirror, so that anyone who tries to bring negativity to you, will be forced to look in “the mirror“ and see themselves for what they do.